In order to satisfactorily complete the DUI Program you must attend all scheduled class sessions, complete all homework, attend all evaluation appointments and pay all fees. You will not receive a certificate of completion until you meet all these requirements and must complete all requirements within 90 days. If you are seen to be or test to be under the influence of alcohol or other drugs, or if you test at any level on an alcohol breath test or refuse to comply with a test, you will be asked to leave the class or evaluation. Per Florida Statute, you will be required to pay 100% of the enrollment fees and be required to begin the enrollment process again. In order to avoid a penalty for failure to make your evaluation or class appointment, you must contact the program in person no less than five business days prior to the appointment. With good cause, this program will allow you to reschedule to up 48 hours after your appointment. If you are ill and under a doctor’s or dentist’s care. If there is a serious illness or death in your immediate family, or if you are involved in a natural disaster, you will be rescheduled without additional charge: however, you will need to bring documentation to verify your absence or conflicting court dates or jail. If you fail to attend this appointment, you will be charged a penalty fee as required by Florida Statute. Late or absent fees in the 90 days after enrollment are $75 for the first occurrence and $153 for the second. If you fail to return for your evaluation within 90 days of your first enrollment date, you will forfeit all fees and will have to begin the enrollment process again. If you are 5 minutes or more late for your appointment, you will not be seen and penalties for absence will be incurred. All classes start on time. Once roll is taken, no one will be admitted to class. If you miss a class because you are late, you have to reschedule and complete the entire class schedule with no credit for sessions attended. If you miss any class session, you will be required to begin the class again, from session one. You will not receive credit for classes attended. You will be charged a reset fee unless you can document “good cause” as defined above. Reset fees are established by Statute and are: Level 2 — $60 (1st); $120 (2nd); $238 (3rd) and Level 1 — $40 (1st); $75 (2nd); $153 (3rd). If you fail to attend class and do not reschedule your class within 90 days of your original ENROLLMENT date, you will forfeit all fees paid and begin the enrollment process again. Notice of this failure is sent to DHSMV. If you refuse to comply with all class requirements or are disruptive in the class, you will be asked to leave and will forfeit all fees and be required to completely re-enroll. All fees must be paid prior to receiving a class schedule. Failure to provide accurate information may result in additional program requirements and additional fees. Please be honest. You must be alcohol and drug free for all appointments, including registration. 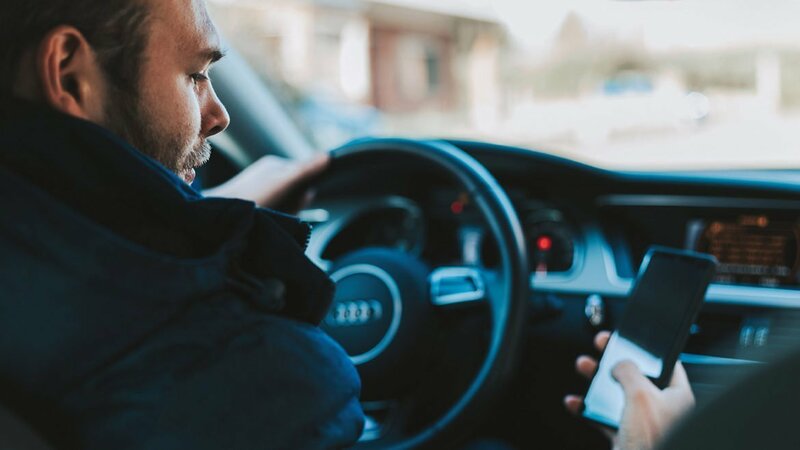 Per Administrative Rule, a DUI Program may refuse to enroll any person who is unwilling to comply with the rules and procedures of the program or who is unwilling to make a full disclosure for purposes of an evaluation. 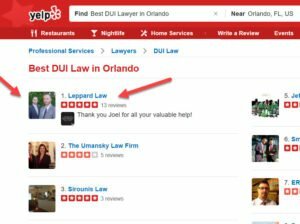 Florida Statutes require a substance abuse evaluation of anyone enrolled in a DUI Program. 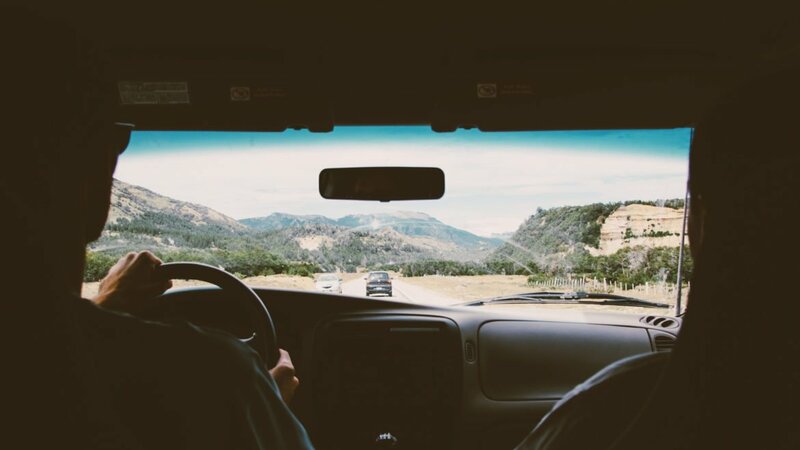 This evaluation will be accomplished in part by having you complete questions concerning your drinking and/or drug use habits, questions about your personal life, and questions about your DUI history. If you have any questions about these forms, you may speak with an enrollment officer. The DUI Program is State certified to provide DUI education programs and complete DUI evaluations. All Evaluators, SSS Evaluators and Instructors are State certified and are under direct Clinical Supervision. After completing paperwork, you will be given an appointment with a State certified Evaluator who will complete various forms that relate to your responses. A determination will be made if referral to a DCF licensed (or exempt by Statute) substance abuse treatment program will be required. There will be additional fees for this treatment as outlined in Florida Statutes. If you fail to complete any part of these requirements within the 90 day time period, you will forfeit all fees and will not receive credit for any component completed. Per Administrative Rule, anyone entering the DUI Program (voluntarily, court ordered or as a requirement of DHSMV) is required to complete the educational requirements and obtain an evaluation within 90 days of enrollment. 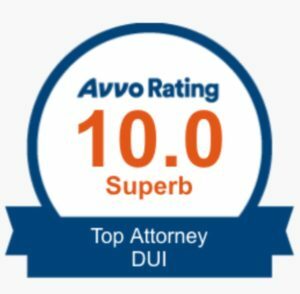 If your DUI conviction is dropped or dismissed but your Administrative Suspension remains valid, you must still complete the DUI Program within 90 days. Failure to do so may result in a notice of cancellation to DHSMV and repayment of the full fee upon re-enrollment. Attendance at all classes, on time and in sequence. No alcohol or other drug use within 24 hours of class. If you receive a class schedule prior to completion of your evaluation, you will not receive a certificate of completion until you complete all components of the DUI Program. 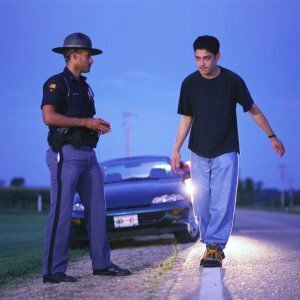 You must attend a DUI Program in the county where you work, live or attend school. You may transfer your DUI requirements from or to this office to comply with this requirement. Failure to complete official transfer paperwork may complicate your completion of the DUI Program. The transfer fee is $25. The client consents in writing. Information regarding child abuse or neglect is obtained. 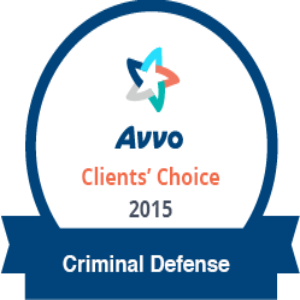 Information concerning any alcohol or drug client may not be used to criminally investigate or prosecute that client. Violation of confidentiality is a crime. ALL Program fees are non-refundable. Complete Program fees, including reset fees, are posted in the enrollment area and appear below. If you come to your evaluation appointment or to any scheduled class under the influence of alcohol or other drugs, or are uncooperative or disruptive and asked to leave evaluation or class, you will be required to pay ALL FEES AGAIN, per Florida Statute. In cases of documented financial need, a fee reduction or payment plan may be available. Any individual who wishes to file a grievance regarding services may do so in writing within 30 days of the date of service delivery. Correspondence should be directed to the Director of the DUI program at the address listed on this form. 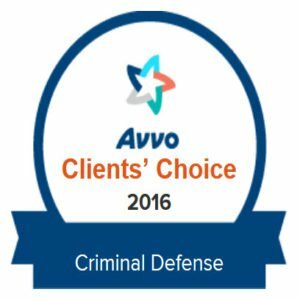 Client rights violations may be reported to DUI Programs Office. A copy of your arrest ticket which indicated B.A.L. A copy of your probable cause/arrest affidavit. The driving record can be ordered at cost through the Florida Safety Council office ($19.95). Please call for driving record prices. 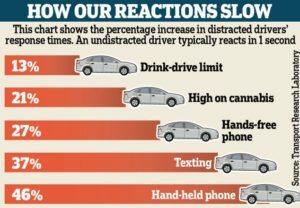 The driving record must be under 30 days old and reflect lifetime record. This is the end of page 3, which ends the rules and regulations, and you have to sign and date that you understand and received the rules. 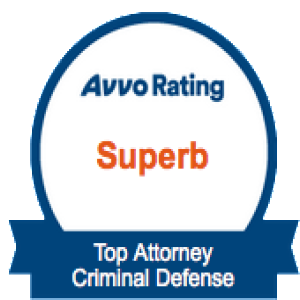 If you’re curious about the costs of a DUI in Florida, please click here. 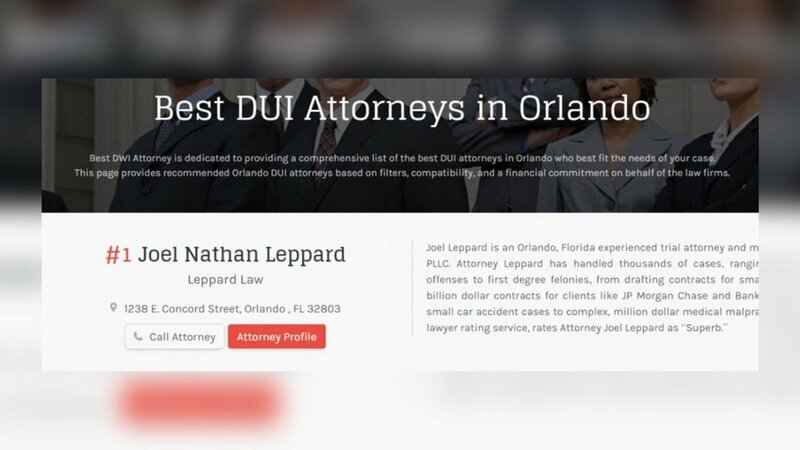 If you have any questions about the charge of Driving Under the Influence, contact Leppard Law at 407-476-4111 with any questions about your DUI.